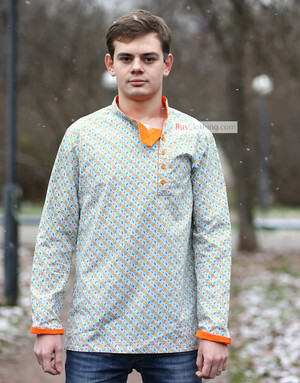 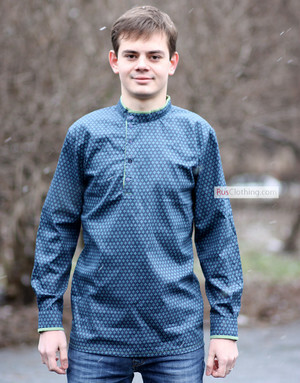 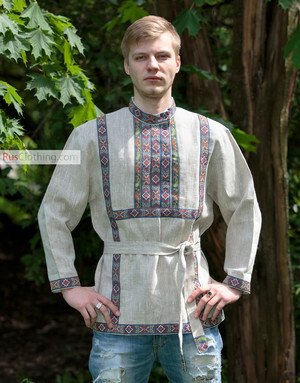 Kosovorotka, Russian shirt, has a long history and keeps its style since old times. 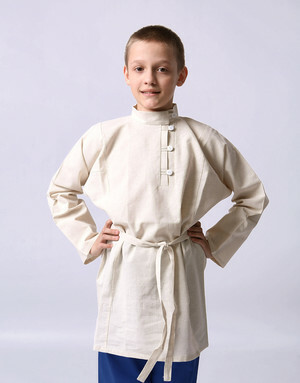 It is known for its straight-cut, elongated body and long sleeves. 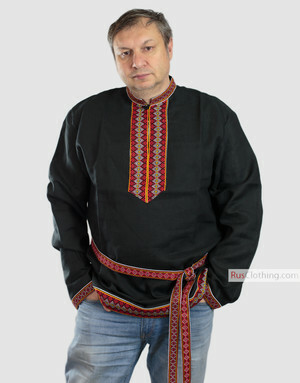 A matching belt adds final ethnic touch to the shirt. 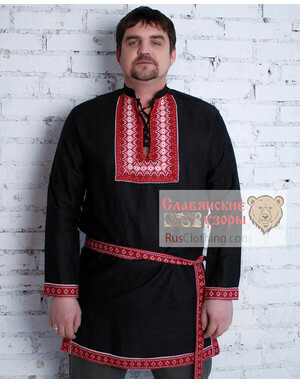 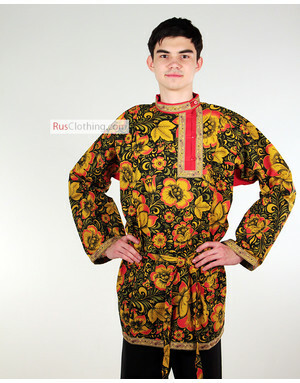 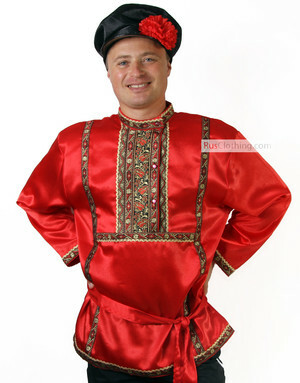 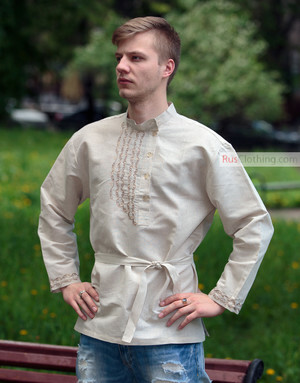 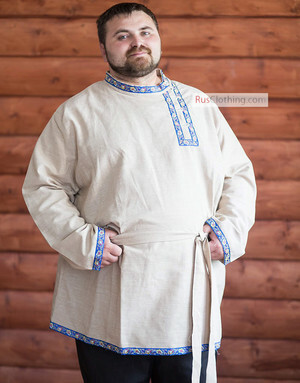 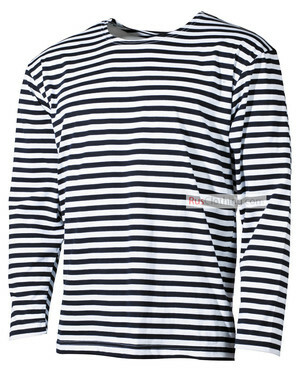 Russian shirt can be worn also without a belt, with the collar buttoned or unbuttoned. 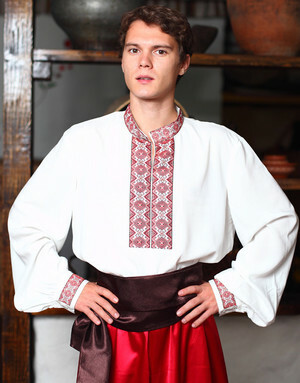 Another name of the Russian shirt, tolstovka, comes from a famous Russian writer Leo Tolstoy who was always seen in a simple folk shirt at the end of his life. 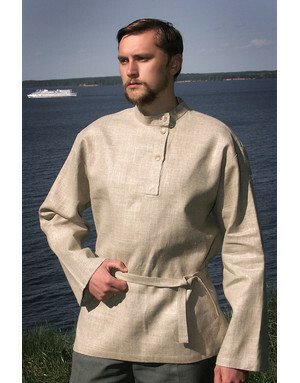 Some people even call it Tolstoy shirt. 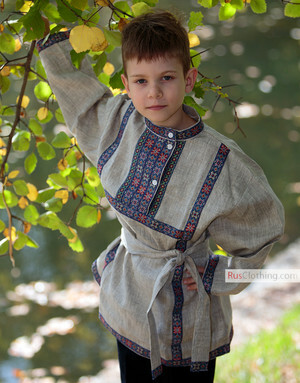 Tolstovka's main difference from kosovorotka is in its simplicity, no extra embroidery. 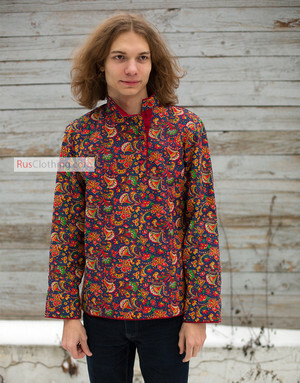 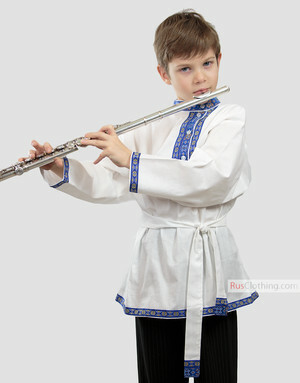 All our Russian shirts are individually made by Russian kraftsmen. 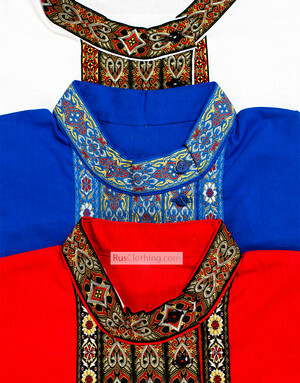 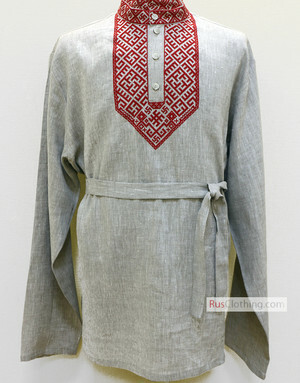 Fine embroidered ribbons decorate some Russian shirts on the chest and as a trim on sleeves and on the bottom of the shirt. 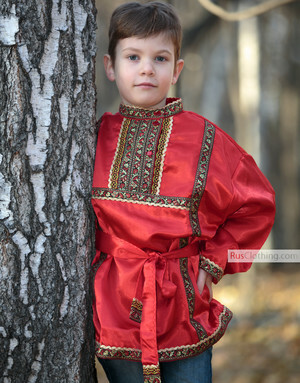 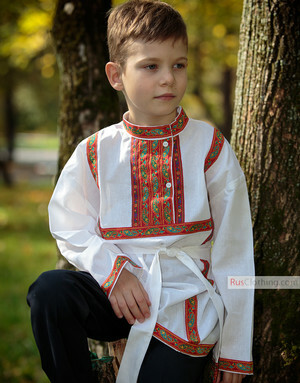 Ukrainian shirts are usually embroidered by red or blue. 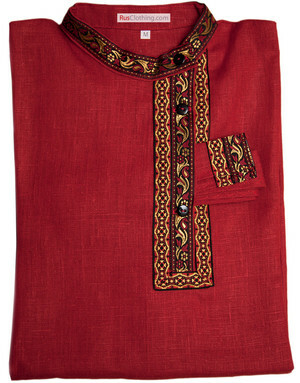 Red was a symbol of beauty and protection colour at the same time.